It goes without saying that we'll be seeing Spider-Man: Into the Spider-Verse 2. Not only did the first movie make tons of money at the box office, it was a smash hit with both fans and critics. The movie has a nearly perfect rating on Rotten Tomatoes, and even won Best Animated Feature Film at both the Golden Globes and the Critics' Choice Awards. Those who've seen the movie are undoubtedly waiting to see what's next for Miles Morales, and according to the movie's directors, the next chapter in the character's story will take place a couple years in the future. On the red carpet for the Critics' Choice Awards, directors Bob Persichetti, Peter Ramsey, and Rodney Rothman were on hand to speak about the movie. When asked about what will be happening in the planned sequel, Rothman jokes that he'll reveal everything there is to know about. According to the director, the plot will take Miles two years into the future. Rothman's fellow directors encourage him to cut it off at that point, so as not to divulge too much information about the sequel. There's still so much we don't know about what we'll see in the follow-up movie, but it looks like we'll be following a new adventure with a slightly-older version of web-slinging teenager Miles Morales. Using a screenplay co-written by Rothman and Phil Lord, Into the Spider-Verse effectively creates an exciting new universe starring the familiar Marvel superhero. While Peter Parker appears in the movie as a mentor with Miles Morales as the primary Spidey, the story features many other versions of Spider-Man from different versions of the story. This even includes an animated pig version of the character called Spider-Ham, who's already rumored to star in a potential spin-off of his own. Establishing this unique storyline which brings in Spider-Men from different universes allows for literally any version of the superhero from throughout his entire history to potentially show up in future movies. More movies set in the new Spider-Verse aren't going to be all that we'll see of Spidey on the big screen in the future. The sequel to 2017's Spider-Man: Homecoming will be premiering in theaters this summer, with Tom Holland's Peter Parker likely appearing in Avengers: Endgame as well. Additionally, Spidey adversary Eddie Brock has established his own unique continuity as well, after appearing in last year's surprise box office hit Venom. While that movie is also getting its own sequel, there are no plans at this time to include any version of Spider-Man, which is likely due to the red tape involved in making it happen. Of course, a Spider-Verse sequel would continue Morales's story, but the potential for spin-off movies is practically endless, given how many different versions of Spider-Man exist. A planned Spider-Women movie will focus on Spider-Gwen, Spider-Woman, and Silk. 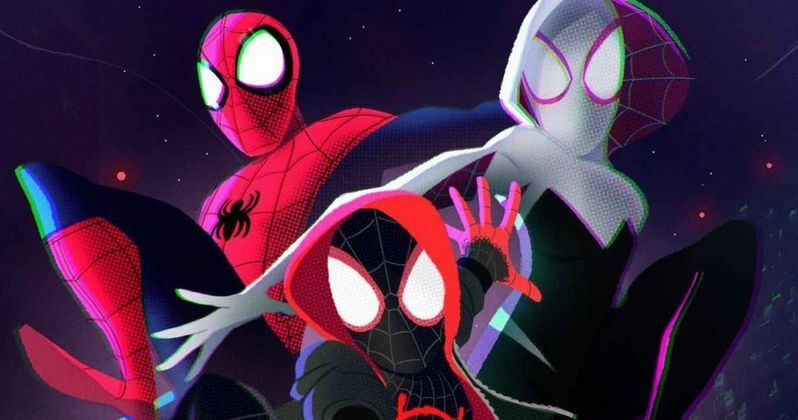 There's no word yet on when to expect these titles to hit theaters, but what we do know is that there are still plenty of stories left to tell from the Spider-Verse that we'll see on the big screen soon enough. Rothman's words come from an interview with Variety, which you can see in the tweet below.